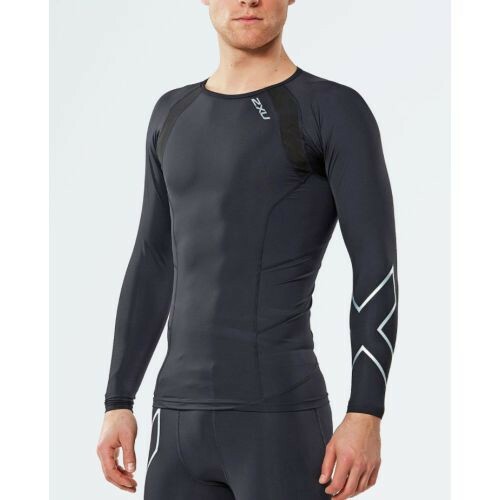 The 2XU MCS Cross Training Compression Top offers full coverage with long sleeves for all types of high intensity sports and cross training. The built-in Muscle Containment mapping is found in the pectorals, lattisimus dorsi and trapezius muscle groups. This technology reduces strain and soreness by supporting the muscles. The trapezius muscle group protects the rotator cuff when performing heavy weight lifting over the head. 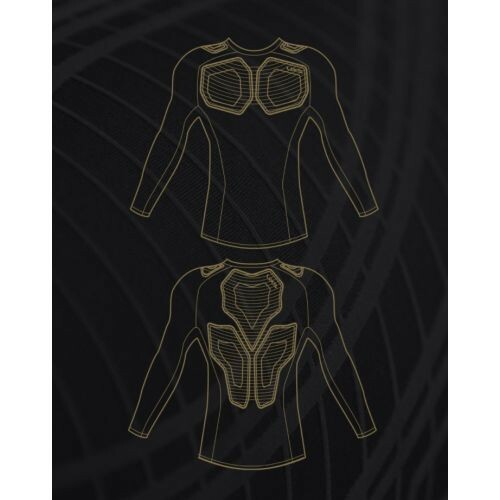 The lattisimus dorsi mapping in the back of the garment promotes proper posture and supports the lower back with weight lifting and squats and lastly, the pectorals support the chest as well as the shoulder including the rotator cuff. In addition to the MCS mapping, the long sleeve top adds moderate 15-20 mmHg compression support to increase blood flow to the upper body. This warms the muscles faster but also improves performance and muscle alignment during the workout and decreases fatigue and soreness post workout. High impact workouts also require durable fabric that is breathable for comfortable wearing. 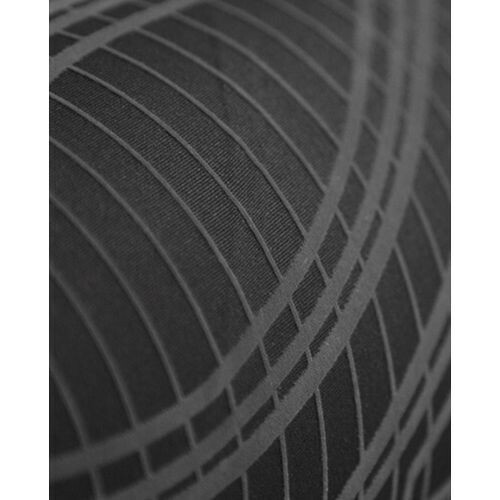 2XU uses PWX fabric that features moisture wicking yarns with antibacterial protection. In addition to those features the fabric is also lightweight. However, it's durability is not jeopardized by the weight of the fabric. MCS Cross Training Compression Top is black with the 2XU logo in subtle nero color on the on the left forearm. It's available in S, M, L and X-Large. To complete your cross training workout attire, pair the top with Elite MCS Compression Tights. This will give you mapping and compression benefits in the legs for faster recovery. Machine-wash MCS compression top in cold water with like colors. Do NOT add bleach or use fabric softener. 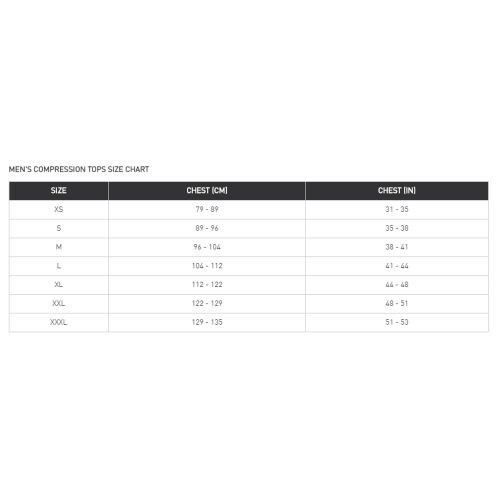 Do NOT tumble dry compression top or iron it to maintain the MCS compression integrity. Hang dry inside and not in sunlight.